Throwing a party soon? These hotels will be perfect for an unforgettable night! Birthday parties, Anniversary parties, Engagement parties, Graduation parties – you name it. There’s always so many reasons to celebrate! However, more often than not, sourcing for the perfect party venue can be quite a pain. Not only do you have to find one that is big enough to accommodate all your guests, the aesthetics, vibes and facilities of the place are also crucial factors in making or breaking the party. Therefore, having recently had to source for a venue for my 21st birthday, I completely understand how difficult it is to find THAT perfect hotel that will cater to all your needs. So I’ve narrowed it all down to 8 hotels which will allow you to throw the ultimate party of your lifetime - take your pick! 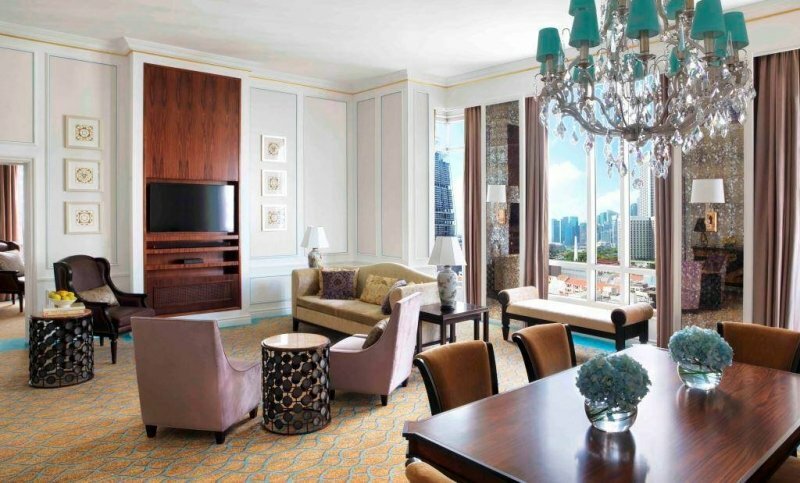 Step into The Scarlet Singapore and you’ll feel as if you’ve just stepped into a grand palace . An opulent and eclectic boutique hotel in the heart of Singapore’s historic enclave, The Scarlet Singapore is filled with character and charm like no other. Don’t let its quirky architecture and the fact that it's set amidst 13 shophouses fool you, simply enter and you’ll be pleasantly surprised by its lavish interior, state-of-the-art facilities and impressive themed rooms. Furthermore, it’s convenient, central location in Chinatown makes it easy for all your friends to attend your party, wherever they’re coming from. With various room and suite options ranging from a standard suite to the five exclusively-themed suites (Swank, Opulent, Lavish, Splendour and Passion); no matter the size of the party, you’ll be well-catered for. With each themed suite having its own character in terms of interior design and layout, you can choose one that fits the theme of your party best! 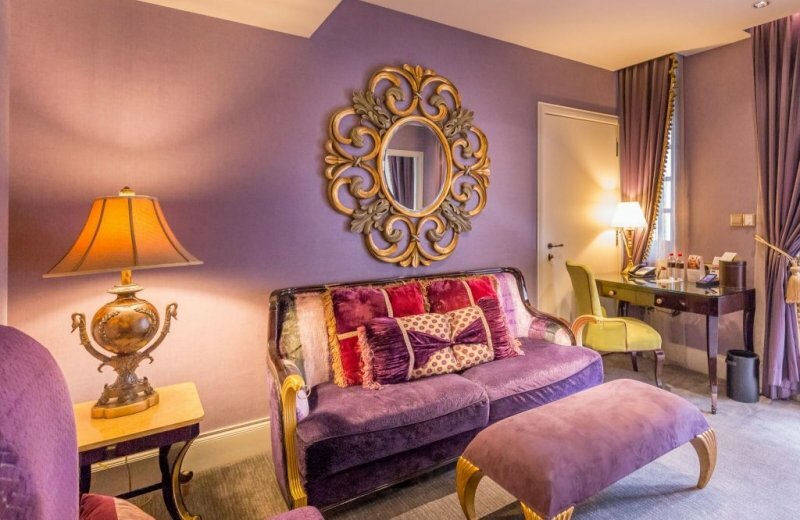 For a romantic anniversary party, opt for the sensuous Passion Suite; whilst the gorgeous and modern Swank Suite would be perfect for a 21st birthday bash. Furthermore, each suite comes with complimentary Wifi, a handy smartphone, cable TV, a mini bar, a hot beverage machine and even a personalised wake-up call service with coffee and tea! Amazing or what? It doesn’t get any better than this. Besides, the massive size of the suites make it ideal for your party, whereby guests will have plenty of space to mingle. Everything, from the huge king-sized bed to the bold colours of the furniture, will spice up your party and your guests will feel right at home here. 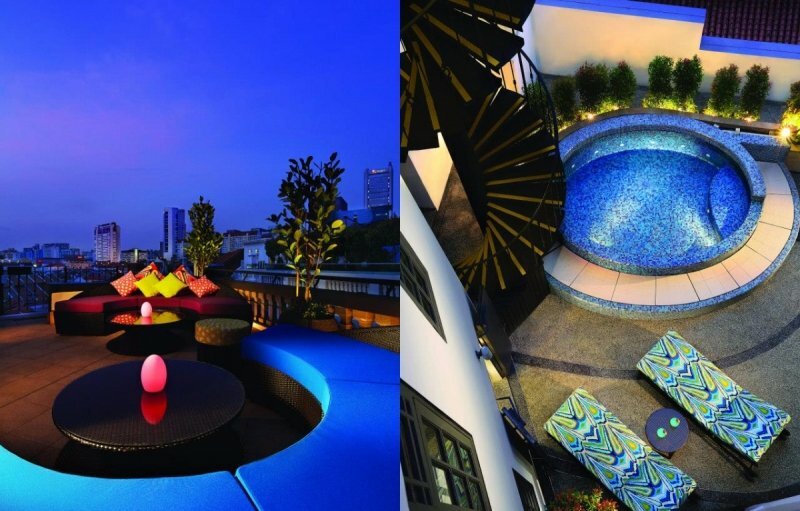 Facilities-wise, in addition to having a stylish meeting room (Bold) and a well-equipped gym (Flaunt), The Scarlet Singapore boasts of a snazzy rooftop bar, Aria, and an outdoor Jacuzzi – perfect for a pool party! What better way to celebrate a milestone in your life than to chat with your friends over refreshing cocktails or beers? You can also choose to lounge at the plush and comfortable sunbeds, to get that perfect tan or simply to stargaze. If that doesn’t sound enticing enough, they’re having an ongoing promotion which allows you to get SGD $15 off your stay, simply by booking directly at The Scarlet Singapore’s website and keying in the promo code <SCARLET15> ! Time to get booking for your big day! With The Scarlet Singapore’s gorgeous interior, impeccable service and amazing facilities, your party is going to be epic for sure! A hot favourite amongst Singaporeans for wedding dinners, Intercontinental Singapore’s range of suites are actually perfect for parties too! The biggest of them all – the Presidential Suite, is often booked for corporate and social events, ranging from 21st birthday parties to product launches, so go ahead and give them a call if you’re interested! The hotel can even cater a tailored spread for all your guests, so your party planning process will definitely be a breeze. Boasting floor-to-ceiling windows with stunning views of the city, a spacious and elegant dining room, and even an in-room sauna, there’s absolutely no reason to resist. No one will want to leave your party at all, because the facilities are just too awesome! Dreaming of a relaxing 21st birthday celebration at a villa in Bali or Maldives, complete with your own private pool ? 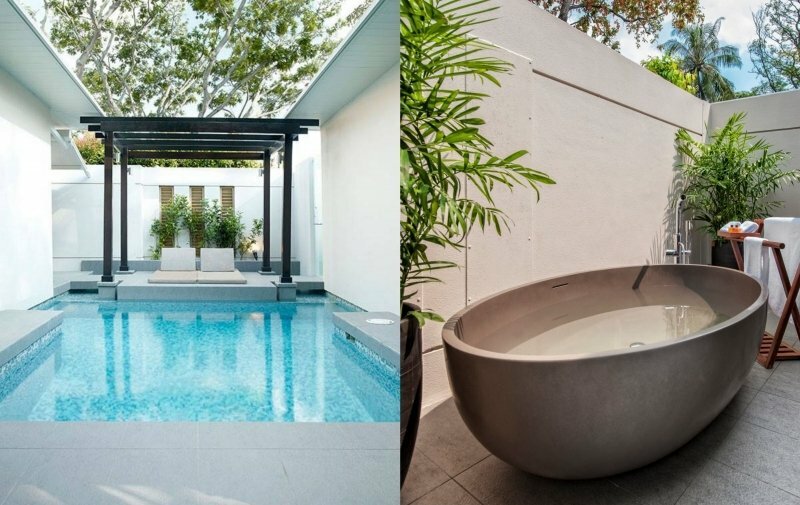 Why travel there when you can simply book a stay at Amara Sanctuary Resort Sentosa, which promises you a fun-filled and rejuvenating experience? For the perfect mix of a tranquil sanctuary and the hustle and bustle of a city, Amara Sanctuary Resort Sentosa is your best bet. Their numerous room options ranging from a basic Deluxe Room to a luxurious Two-Bedroom Villa with a private pool or even a gigantic Family Mansion will allow you to throw the perfect party, complete with lots of space for activities. Besides, their comprehensive list of facilities will blow you away. With a beautiful restaurant and bar, a glass pavilion, swimming pools, a fitness centre and more on site, you can be assured that your party will be a smashing success! Looking for the perfect party venue with Insta-worthy whitewashed walls and stunning minimalist aesthetics? Well, Lloyd’s Inn has just that and more! A modern hotel housed in the heart of Orchard Road with a reductive approach, you can be sure that the your party will be held in style . 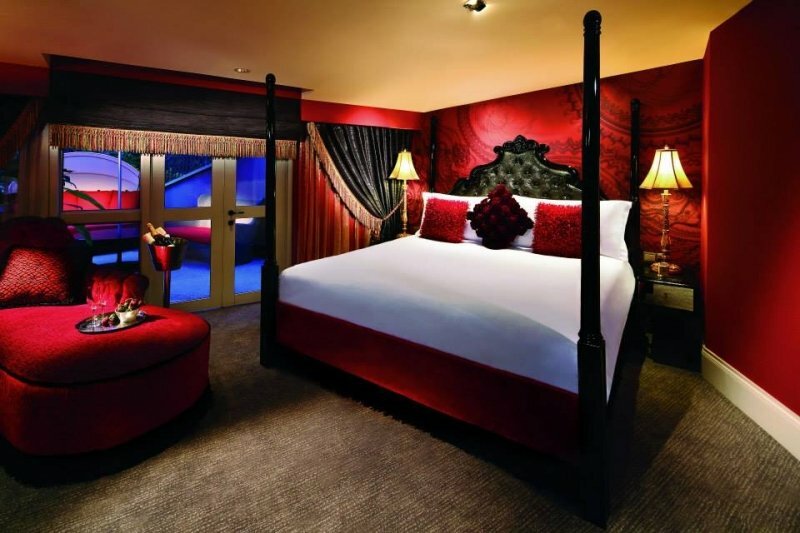 With various room options (standard, premium, deluxe & suite), you’ll be left spoilt for choice, regardless of occasion. For a larger party, we recommend booking a Big Skyroom which includes a huge outdoor bathtub and luxurious queen-sized bed! Facilities-wise, their roof terrace is the perfect place for an after-party brunch, whilst their garden deck and dipping pool provides you with the most rejuvenating poolside experience that you could ever ask for, thanks to the lush tropical foliage surrounding it. At Lloyd’s Inn, no matter where you choose to snap some selfies or your OOTDs, you can be sure that the photographs will turn out on point. The newbie in the Shangri-La Group, Hotel Jen Tanglin Singapore is a modern, chic and luxurious hotel nestled at the top of bustling Orchard Road. Boasting 565 stylish and comfortable rooms available for booking, you can be assured that whatever type of party you’re planning for, they’ve got it covered. For a larger gathering or party, we recommend either getting an Executive Suite, Deluxe Suite or a Premier Suite. Besides getting a panoramic view of the city and a separate living area, a you also get to enjoy a fully stocked pantry and wine rack to a tabletop bar. Should you need more space for your party, you can even bring it up a notch by renting their function room or make a booking at their in-house restaurants (J65, Ah Hoi’s Kitchen, Jen’s Kitchen On-the-Go). 24 hour room service is also available with any booking so don’t worry about feeding your guests at ungodly hours! Looking for some exclusivity and privacy for an intimate party amidst lush greenery? 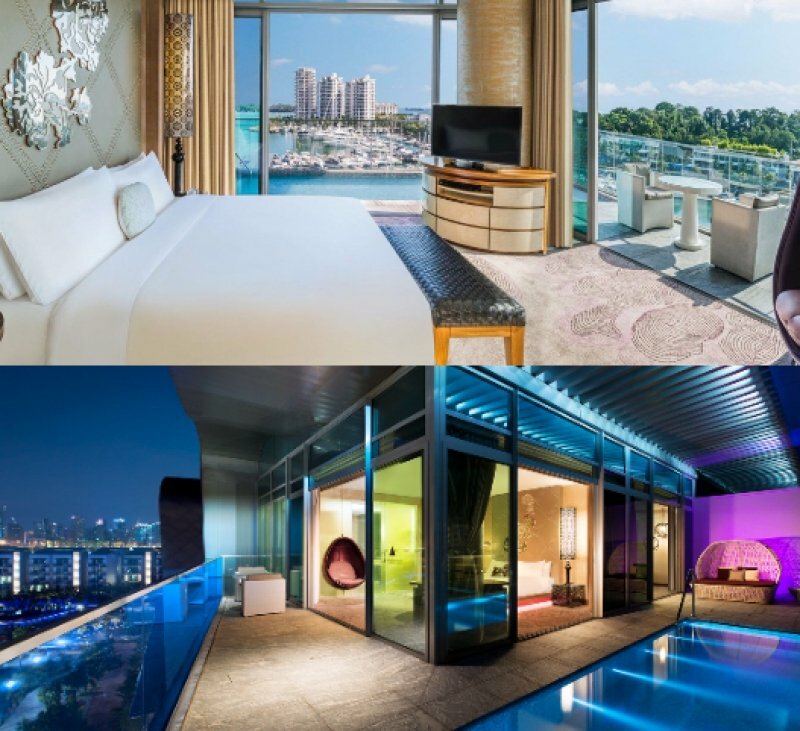 Then the Treetop Lofts at Resorts World Sentosa are your best bet! 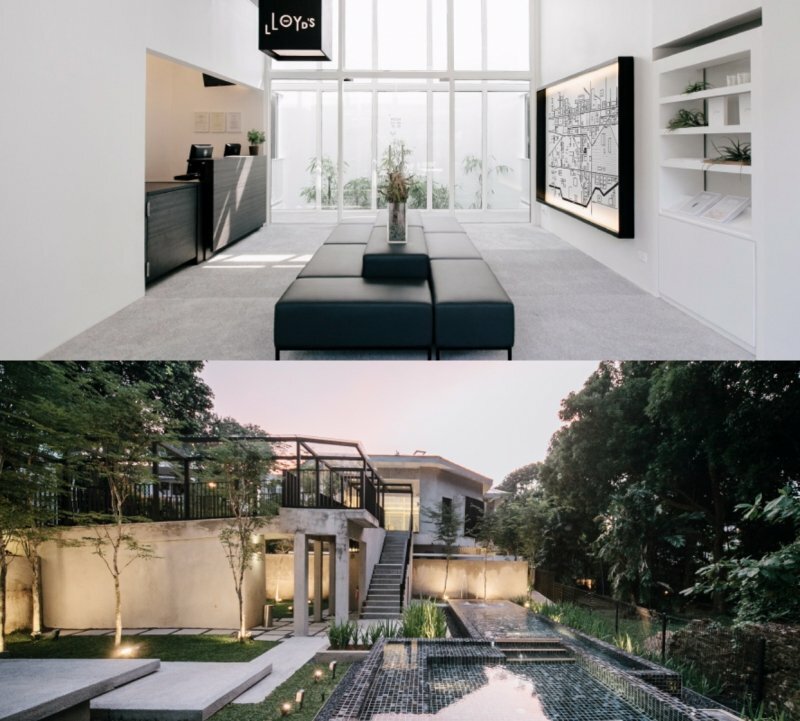 Choose from either Angsana or Tembusu, their unique one-bedroom lofts, and luxuriate with your guests at the private outdoor terrace over a hearty spread of food and drinks. They also offer a personalised butler service so your party will definitely go on without a hitch. Get started on planning right now! Hands up if you love pool parties! The Beach Villas at Resorts World Sentosa are an absolutely perfect choice for those who want a tropical summer party, complete with a private pool, timber sundecks, a mini garden, and wait for it…. Unparalleled panoramic views of the sea right at your doorstep! Sounds amazing or what? Stay in the 3-bedroom villa and you’ll get a spacious living room, plus three oversized bedrooms! That’s definitely more than enough space for an incredible pool party! If you want to elevate your party experience, why not go for The Palace instead? True to its name, you’ll enjoy kitchen facilities, a lap pool, and even a private entertainment room for all your guests who love gaming. With such a plethora of facilities for you to fully maximise, you’ll never want to leave this idyllic haven at all. Get ready for an unforgettable party right here! For a more vibrant and eclectic party, W Singapore Sentosa Cove has a few suites that are pretty ideal! The Marvelous, AWAY, Fantastic, or WOW Suites are great choices for hosting your next party. Boasting resplendent designs and a myriad of colourful furniture, your party ambience is instantly settled! Have a splashing good time with all your guests at the private plunge pool, complete with breathtaking views of the marina. For an ever crazier time, why not adjourn to the WOOBAR for the latest EDM tunes as you all tear up the dancefloor? P.S. 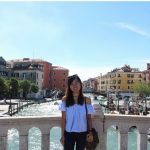 If you need any more hotel recommendations, feel free to head over to TripZillaSTAYS to check out other awesome options as well!